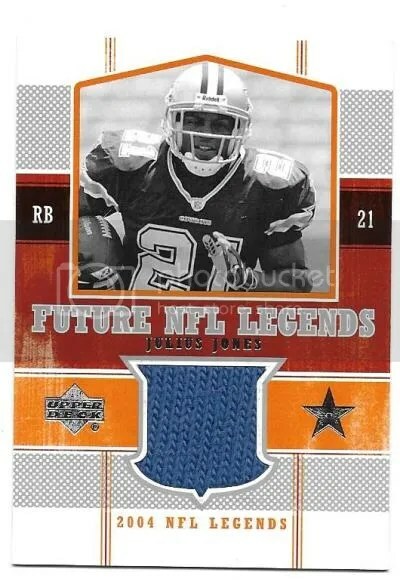 Congrats to Barry on being the lucky winner of the Julius Jones 2004 Upper Deck Legends – Future NFL Legends Jersey. Once Barry sends me his mailing address, I will ship this card ASAP. Thanks!